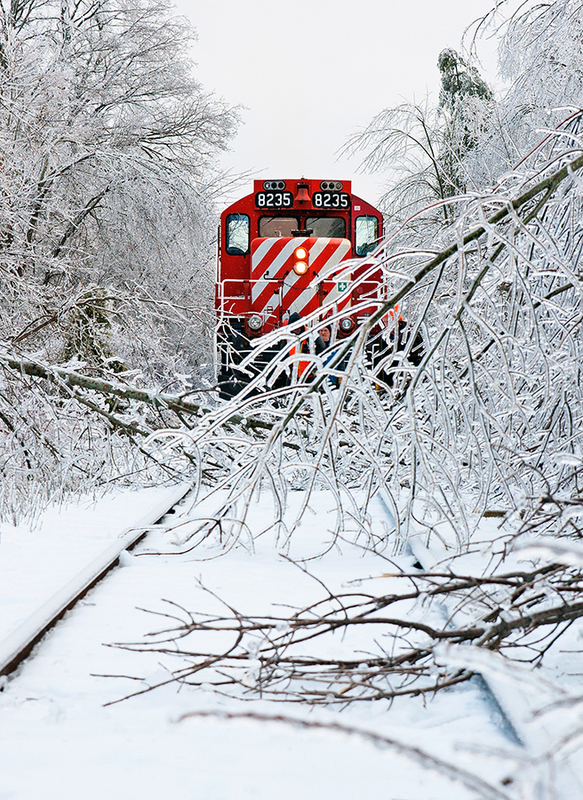 Railpictures.ca - Michael Da Costa Photo: Clearing away the trees from last nights ice storm. | Railpictures.ca – Canadian Railway Photography – photographie ferroviaire Canadienne. Caption: Clearing away the trees from last nights ice storm. Never should have operated that day.